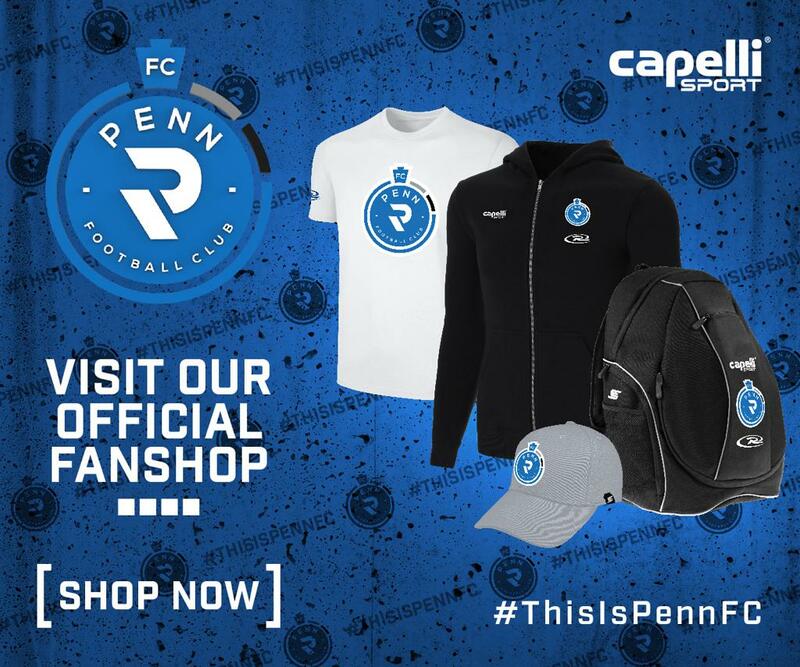 HARRISBURG, Pa. – Penn FC and Toronto FC II played a lively match that ended in a scoreless draw as the Blue and White bid farewell to its veteran center back Tiago Calvano during the team’s season finale. The Brazilian defender wore the captain’s armband in the final match of his professional career that spanned 18 years and six countries. The Penn FC backline came alive in the first half under Calvano’s stewardship as the Blue and White held Toronto to only one shot and one corner kick. Penn FC took advantage of turnovers and opened up its own offense. The attack regularly drew Toronto fouls and the Blue and White nearly broke through on set pieces. Lucky Mkosana was fouled in the middle of the field in the 35th minute and earned a free kick. Paulo Junior stepped up and delivered a ball to the waiting head of Haruna Shaibu in the box. The Ghanaian defender headed the ball on frame, forcing a quick save from Toronto’s goalkeeper. The draw marked Penn FC’s third straight match unbeaten against Toronto FC II. The Blue and White previously won the last two matchups against the MLS affiliate with wins both at Toronto and at FNB Field. However, with Penn FC only winning each of the previous matchups by a goal, the rivalry between the two sides will be alive when they meet again in the USL League One in the 2020 season. Already eliminated from playoff contention, the match also marked the end of Penn FC’s 2018 season. In its inaugural season under the new Penn FC name, the Blue and White played a rollercoaster season as it created its identity under first year manager Raoul Voss. The team put together impressive runs during the bookends of the summer as Penn FC flirted with a playoff appearance deep into the regular season.